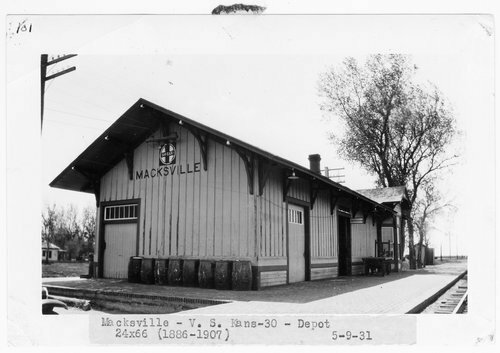 This photograph shows the Atchison, Topeka and Santa Fe Railway Company depot in Macksville, Kansas. Barrels and a cart are also visible. Built between 1886 and 1907, the depot measured 24' x 66'. The one-story wooden structure with batten siding is no longer standing.